For more information please visit Ashley Hay’s website. “This is how you touch grief.” Ani Lachlan’s thought a short while after hearing of her husband’s work-related death rocked me in a way that few sentences have. So much so that as I read the line, I texted it to a friend. 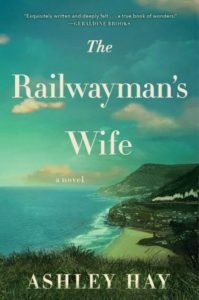 Ani is the railway man’s wife, but she’s also a book lover, a reader, mother to an adorable young girl, Isabelle, and a woman who, like most of us, possesses more inner strength than she at firest realizes. 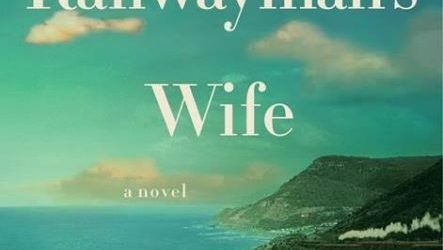 This novel is really her story, and I found it quite easy to connect with her, and her life in a coastal village in Australia. Early in the novel – chapter two – Ani and Mac are on a shopping trip, and their last item to purchase is “something magical” for their daughter’s birthday. They choose a kaleidoscope, and I can’t help feeling that this story was also a kaleidoscope of sorts, in that everything happens within a constrained set of parameters, in a close town, within a relatively few changes of scene, despite the emotional twists and turns. Yes, it’s a satisfying 288 pages, but it’s a literary novel, so it’s okay that this lyrical story never explores much beyond the town limits, or that we only really see a few locations. It’s not about place, anyway, it’s about people, and they way they respond to love, loss, grief, and solace. 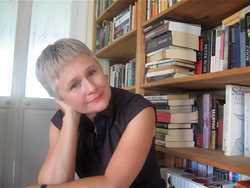 Author Ashley Hay works magic, populating her pages with people who leap of the page. Ani, of course, and Mac, her husband. While we don’t really get to see a lot of them before he dies, what we do see is so emotionally truthful that I reacted to news of his death with that visceral knife-in-the-gut feeling. Their love for each other, and for their daughter, is imbued in every page of the story. Similarly, the characters of Roy, the WWII veteran who writes poetry to process his pain, and Frank, who is carrying his own guilt and hurt, felt dimensional and real. I believed their dual gravitation toward the (sort of) oblivious about it Ani. 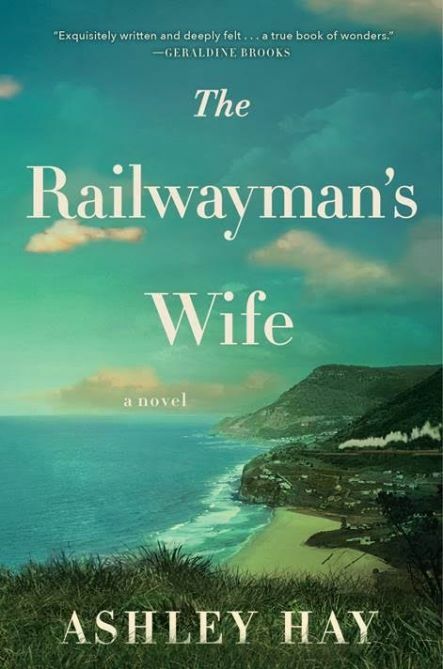 The post-war coastal Australia setting worked well for me – a story like this needs to be set against the blue expanse of the sea. 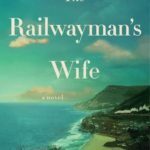 This is a story about grief and loss and love and hope, and while it is both literary and historical, its themes are universal ones, and it feels contemporary in terms of language and style, but not in an anachronistic way. This is a novel that touched me. I think it will touch you, too. Goes well with a bowl of clam chowder, crusty bread, and a mug of brisk, black tea. One lucky reader in the United States will win a paperback copy of this book. To enter, find me on Twitter, follow me, and retweet my tweet about this book review OR leave a comment here (you must use a valid email address) and tell me about your favorite library. The winner will be chosen by me, and their information will be forwarded to the tour host/publicist for fulfillment. This may take up to six weeks after the day of the end of this blog tour. This giveaway opportunity is open until noon, central time, on Wednesday, May 18th.